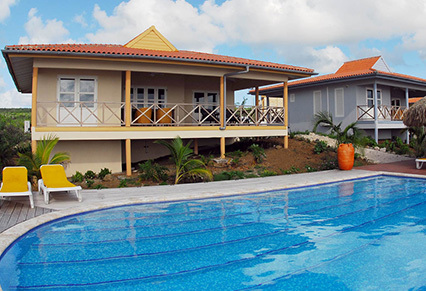 Divers are welcome at the Caribbean Club, where spacious accommodations become headquarters for 24/7 exploration of Bonaire's best dive sites. 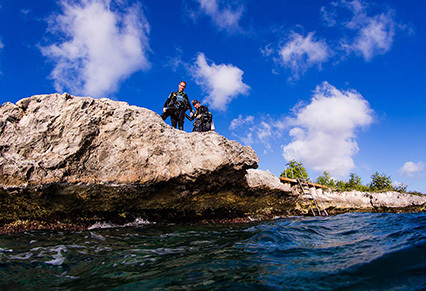 DIVE & EXPLORE PACKAGE includes 7 night accommodations in your choice of Studio, 1 or 2 Bedrooms, Penthouse, Honeymoon Cottage, 6 days unlimited shore diving or upgrade to 6 days of 1-tank boat dives or 6 days of 2-tank boat dives, 7 day vehicle rental including taxes, roundtrip airport transfers, hotel tax and service charges. EVERY SECOND DIVER DIVES FREE includes 7 night 2-bedroom quad accommodations, 6 days of unlimited shore diving including free Nitrox, breakfast buffet daily, 8 day truck rental including taxes, airport transfers, hotel tax and service charges. Valid 8/31/19-10/4/19 & 11/30/19-12/20/19.